Use the sliders to create a cylinder. 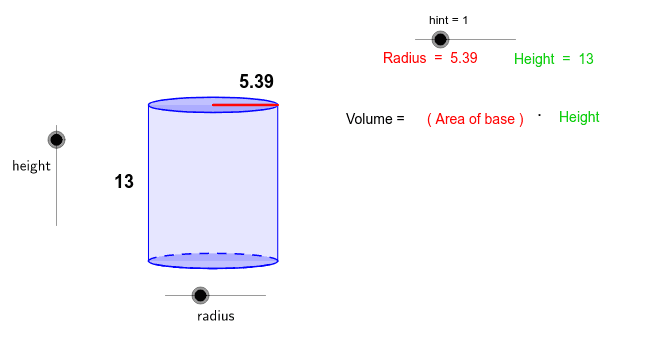 Then learn how to find the volume of the cylinder. 1. What two dimensional figure is relate-able to a cylinder? 2. How is the volume of a cylinder affected by changes in radius? Doubling the radius? Halving it? 3. How is the volume of a cylinder affected by changes in the height? Doubling it? Halving it? 4. What is the base figure of the cylinder and how is it incorporated into the formula?